This paper is part of a series of synthesis papers that summarise data on agent networks, collected over four and a half years from nine countries in Africa and Asia through the Agent Network Accelerator (ANA) project1. MicroSave’s Helix Institute of Digital Finance conducted the ANA project with funding from the Bill & Melinda Gates Foundation, the United Nations Capital Development Fund (UNCDF), Financial Sector Deepening – Uganda (FSDU), and Karandaaz Pakistan. 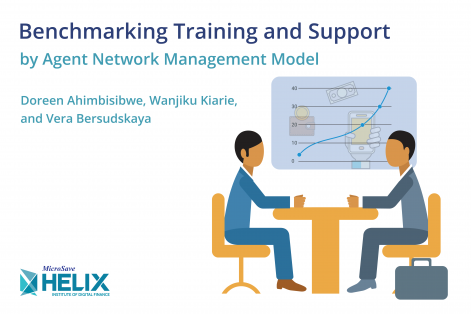 The paper draws on previous research by The Helix, particularly the Framework for Understanding Agent Network Success, to look at provider onboarding and on-going support to their agents by different agent network management models.